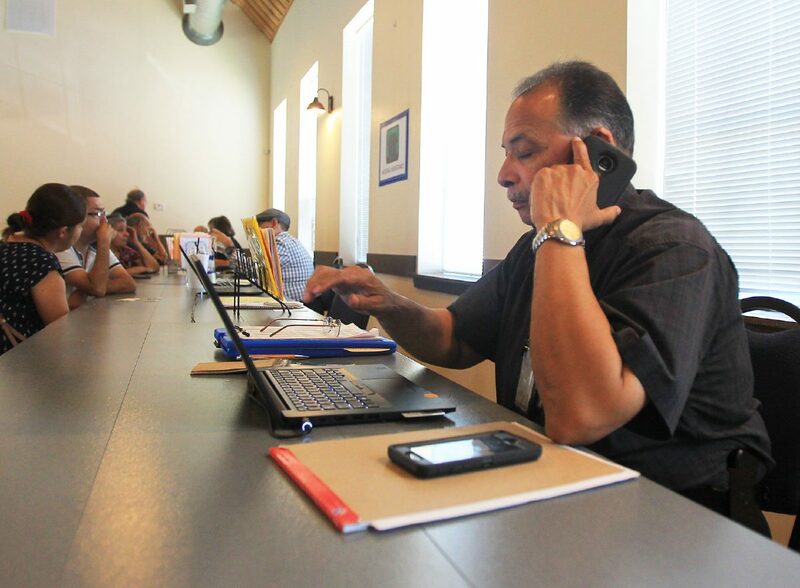 The FEMA Disaster Recovery Center is located at the Old Church Winery on Friday, July 20, 2018 in McAllen. McALLEN — The Old Church Winery is now filled with emergency disaster experts. 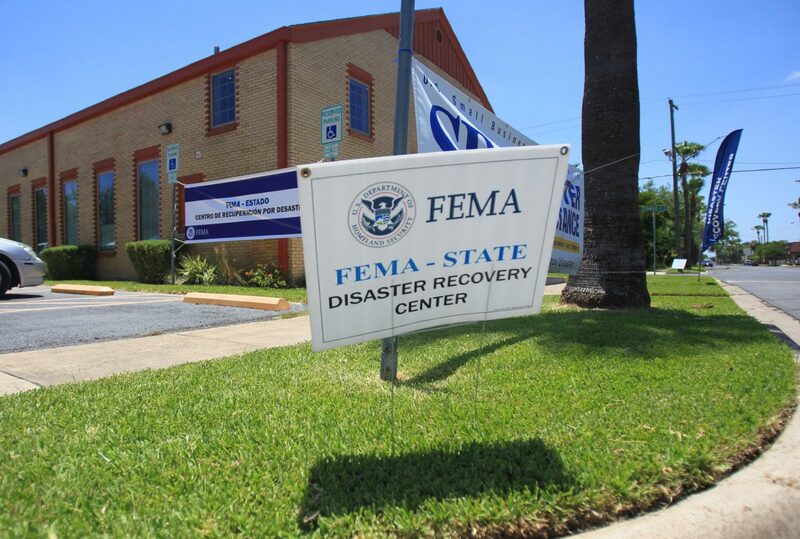 A month after the region was smacked by storms that resulted in thousands of flood-damaged homes and businesses, the Federal Emergency Management Agency opened three disaster relief centers across the Rio Grande Valley, with a fourth on the way. The Old Church Winery, a former church repurposed into an event hall, is located on North Main Street between U.S. Business 83 and Pecan Boulevard. The two other disaster centers are in Mission and Weslaco. The McAllen center will be open from 7 a.m. to 7 p.m. seven days per week. McAllen’s center features eight FEMA representatives, all bilingual, according to Rafael Velez, the agency’s manager for this facility. There are also representatives for mitigation and for business damage relief. Those with property damage can apply remotely or at the center, and the agency inspects the applicants’ damages, Velez said. FEMA has around 75 inspectors on the ground in the Valley right now, and the agency plans to be here through September. U.S. Rep. Vicente Gonzalez, D-McAllen, and other officials toured the building Friday. McAllen had roughly 2,800 damaged homes, with the county’s tally around 20,000. The city has waived building permits for flood damaged homes. “We are obviously and intentionally waiving the permit and fee, but we’re not recommending that they not get a permit,” City Manager Roel “Roy” Rodriguez said at a recent city commission meeting.